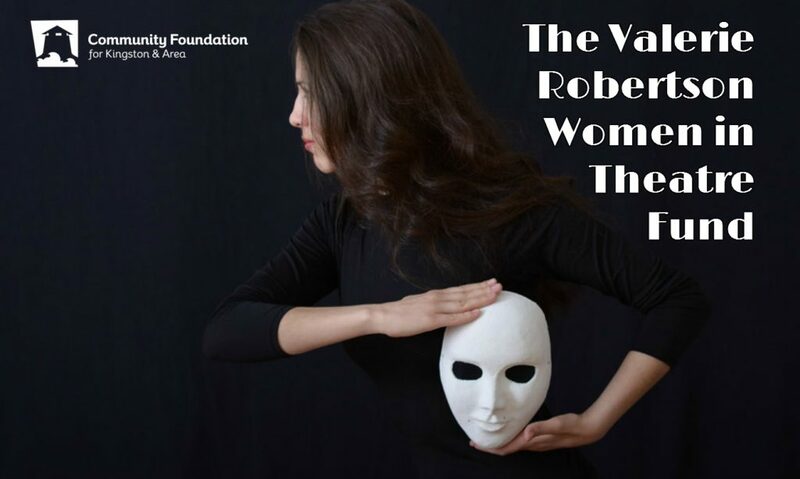 To donate to the Valerie Robertson Women in Theatre Fund click here. Last month, local theatre icon Valerie Robertson passed away at the age of 89. Her son, Charles, recalls her desire to be involved in theatre from a very young age. Charles chose to remember his mother by establishing an endowment fund in her name at the Community Foundation for Kingston & Area. The Valerie Robertson Women in Theatre Fund will support theatre-related projects in the Kingston area through the Foundation’s Community Grants program. Preference will be given to projects that encourage young women’s participation in theatre. When Valerie was only 17 she received a scholarship to study theatre and later married Gordon Robertson whom she met when he was studying theatre in England – Valerie’s home country. They eventually moved to Kingston where Valerie became deeply involved in the theatre, helping to establish Domino Theatre and Theatre 5 with a group of British expats. For the full story of Valerie’s role in shaping performing arts locally and nationally, please visit the Kingston Heritage website here.